In India, infrastructure and facilities in almost every state are a subject of keep developing. These positive improvements and changes are fascinating many foreigners every year. Punjab is one of those developing states that attract a number of NRIs towards it due to the amazing infrastructure and medical facilities. In Punjab, Phagwara is considered as one of the biggest business hubs. Medical facilities in this city are also amazing as almost every surgery can be done here in Phagwara such as, Hair transplant, Kidney Transplant, Heart Transplant, Dentistry, Test Tube Baby etc. You can get such facilities at an affordable cost here in this city. 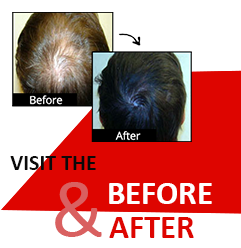 Platinum Hair Centre- This dedicated hair transplant centre is located in Phagwara, Punjab. In our centre we utilize state of art technogy and equipment backed with advanced methodologies. Beard hair transplant, moustache hair transplant, Eyebrow hair transplant, Body hair transplant are the key treatments provided in our centre. FUE is the latest and world famous hair transplant technique which we are using at our centre. WAYS TO REACH PLATINUM HAIR CENTRE PHAGWARA, PUNJAB. Platinum hair centre is located in urban estate Dugri, Phagwara. Phagwara is one of the famous cities of Punjab. Phagwara is easily reachable by Air, road & train from other states of India & foreign countries. Phagwara is very well connected to Delhi, Amritsar & Chandigarh which are the destinations of International airports. The city is also well connected by rail network to Delhi and other important cities of Punjab like Jalandhar, Amritsar,Ferozpur and Bathinda. Chandigarh, Chandigarh is just 124 kilo meters away from Phagwara. By Air: Chandigarh & Amritsar airports are nearst operational airports from Phagwara. For overseas patient’s Delhi Airport is the best option to treval to India & then Phagwara, Punjab. By Rail : There are regular trains for and from New Delhi, Amritsar & all other states of Country. Patients can treval by the fastest trains of India such as shatabadi express, jammu tavi and Deluxe esxpress etc. By Road : Phagwara is very well connected to other district cities of Punjab. It is located at Delhi- Amritsar GT road. It is 347 kilo meters away from capital Delhi and 124 kms from Chandigarh. Phagwara is well linked to the famous cities such as Shimla, Rishikesh, Kulu, Manali, Dharmshala, Dalhousie, Jammu & jaipur etc bt road.